Welcome (or welcome back!) to our next contest! This time around, we really wanted to see just how much musical talent is out there in Rune-Midgarts! This is just the chorus, but I hope everyone gets the general idea. You will need to do this for an entire song. Now for something interesting: if you record yourself singing the song you write a parody of you will receive a CD in mouth with your name on it! Cool, right? We think so! We're looking forward to seeing and hearing all of the talent out there. Now for the second category of the contest! 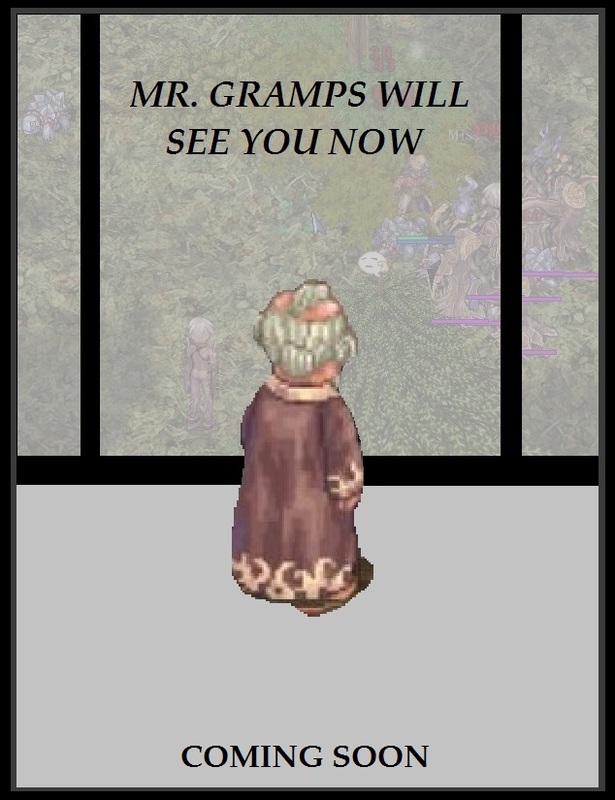 The way this is going to work is that you can choose any background music (BGM) from Ragnarok Online. Let's say you love "Peaceful Forest"
You would record yourself playing this with some type of musical instrument. Doesn't matter what instrument you choose. If you want to visit Niflheim and bang out a tune on a hollowed out zombie skull, then be our guest! All we ask if that it actually sounds like the BGM you're covering! Anyone that chooses to record themselves playing a Ragnarok Online BGM will receive a named CD in mouth. All recordings must include you. You can get a friend to play or sing backup, but we ask that you play a significant part in the recording. Anyone caught cheating or plagiarizing someone's work will be disqualified. The contest will run from the 19th of March until the 19th of April. All entries must be submitted on or before 12am midnight pst. 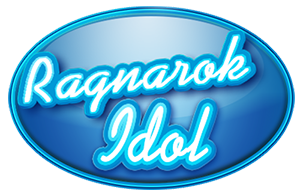 To qualify for the song parody contest, you need to change the entire song to be Ragnarok themed. Leaving a few lines the same is find, but you can't just throw the word "Poring" in every now and then and hope to win something. To qualify for the BGM cover contest, your recording should be easy to identify when comparing it to the original. I expect people to behave, but just in case; guild drama, sexually explicit or demeaning lyrics, etc. will not be tolerated. You may use your name or a friend's name, but no taking shots at others. You may include the GMs as long as you keep it classy. Anyone who submits a valid song parody entry and chooses to record themselves singing will receive a CD in mouth with their name on it. Anyone who submits a valid cover of a Ragnarok BGM will receive a CD in mouth with their name on it. The top three from the song parody contest will receive costume note headphones. The top three from the BGM cover contest will receive costume note headphones. The fan favorite out of people choosing to sing their parody song will receive costume note headphones. If you have any quest questions or comments, don't be afraid to post or PM myself or Tatihana here on the forums. Edited by Myzery, 05 May 2015 - 12:44 PM. ooh this sounds like a fun contest. look forward to the entries! Lag the cells I used to own. Now the AB is dead, let's puppy the Gene. Upon pillars of ash, pillars of sand. Amon couldn't believe what I'd become. Oh who would ever want to be him? Edited by bloodyrascal, 13 April 2015 - 12:33 AM. You would record record yourself playing this with some type of musical instrument. Just a general inquiry (I don't intend on actually taking part), when you say "record yourself" do you mean taking a physical instrument of some description and taking an actual microphone to it? Or is composing digitally, like say a MIDI composition, also acceptable? Does the record must be in video or sound alone is okay? inspired by all priest class out there, here i go making an attempt. Would i buff? if you asked me to buff? Would i heal? if you said heal plz? Would you cry if you saw me dying? But i would save you soul tonight. Would you tremble if the party wiped out? Would you laugh? when we reached victory? Now should i die by casting redemptio? All i do to make party alive. But please give all your loots to me. Would you share the experience and the loots? If you lie! i would leave right now! I don't care if you'll die tonight. I want to level up too. I want to be rich too. that's what makes a good party. Recording done using audacity software, mixing done using 'quick fix' mode reverberation. would be nice if the CD in mouth is a costume since i dont use CD in mouth to go out (except for fashion when sitting in town). Edited by fuyukikun, 20 March 2015 - 05:33 AM. I will allow you to compose it with something similar to Mario Paint. This is a great idea actually. My intentions were for people to record it with a microphone, but that would most definitely work too! Voice alone is fine. People may also record themselves in a video if they wish. @ Bloodyrascal - That is indeed what we are looking for. Edited by Myzery, 19 March 2015 - 05:48 PM. My only doubt is: Where should i post/send my video? I was thinking of making a new record and send you, but i got anxious, so, here it is, heh. Edited by Rupprecht, 21 May 2016 - 09:32 PM. Doesn't matter what instrument you choose. If you want to visit Niflheim and bang out a tune on a hollowed out zombie skull, then be our guest! Edited by xxccxx, 24 March 2015 - 05:27 PM. Link to share it with friends. so I'll just go to the pvp room in izlude, and leave with your girlfriend on a date, first night dude? Till the drama clears up - am I crazy? Like the Valkyrie did- the other day, yeah I'm in no hurry- I'll forever stay this way, no worries. Edited by Daray, 18 April 2015 - 05:16 AM. If you want it to be a fresh kill, I certainly wouldn't want to argue with you! Are we limited to one entry for this contest? You can do an entry in each bracket. I don't mind if you do multiple entries in the same bracket, but you will only be judged on one of them. Oh and if you don't mind, if you're doing a song parody if you can put a youtube Karaoke version of the song in your post it'll help people who might not be familiar with that tune! yes, it would be nice to have a karaoke version~ much easier to follow along while singing to yourself (meaning the judges) to see if the song and words mesh. not required, but definitely helpful. ^^^^ this is exactly what i mean by karaoke version. much easier to follow along. Edited by tatihana00, 24 March 2015 - 05:31 AM. Edited by BlueRoseHere, 17 April 2015 - 02:17 PM. Edited by 8709131226200158117, 07 April 2015 - 09:13 AM. My name is Ariel Menezes de Almeida Júnior. Big name uh? heh. If it is too big, just "Ariel Menezes" is enough for me. I love this song! Thanks for making this guitar cover I'll try to make my own cover of either Payon Cave theme or some other thrilling tune on drums. Would it be legit to play the song in the background while I do percussion? Eclage or El Dicastes theme please? I have just edited my post with a karaoke version of the parody.